Earlier today, we reported about the Xiaomi’s upcoming flagship phone, Mi 6’s visit to the GFXBench benchmarking app. 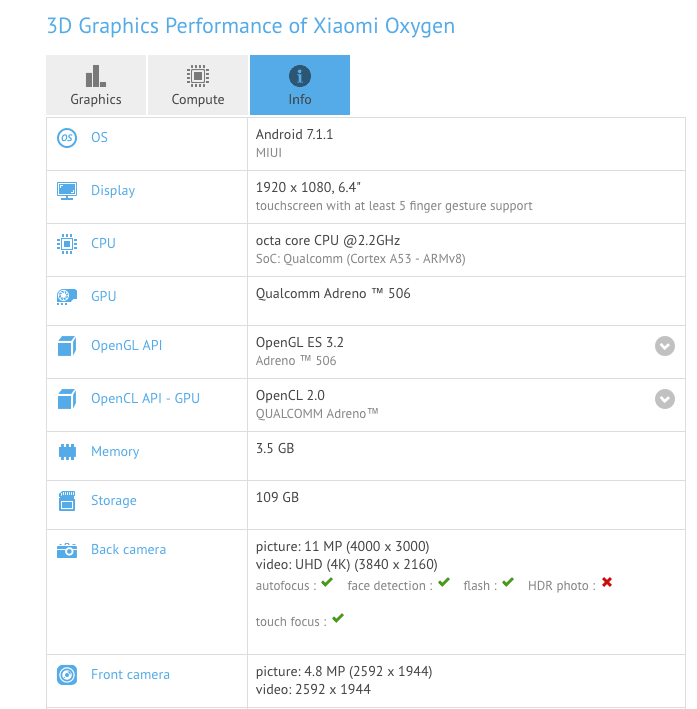 And now, another Xiaomi phone pays a visit to the same GFXBench app with the moniker, Xiaomi Oxygen. Going by the codename, there’s nothing much we know, but the screen size of 6.4-inch in the listing tells the entire story. The so-called Xiaomi Oxygen will be the successor to last year’s Xiaomi Mi Max, and earlier rumours suggest it as Xiaomi Mi Max 2. 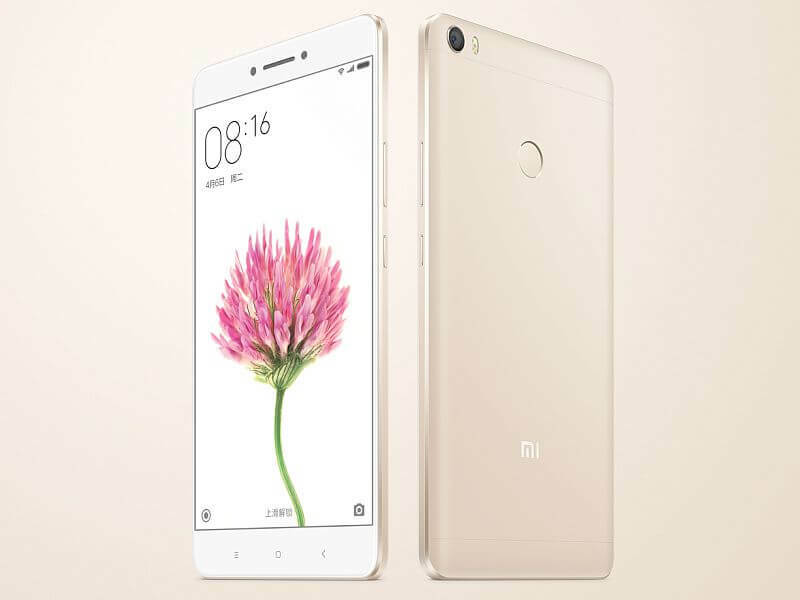 The Xiaomi Mi Max 2 in the listing comes with a 6.4-inch Full HD display and will be powered by the unannounced octa-core Snapdragon 660 SoC. Although the listing did not reveal the name of the SoC, but earlier leaks claimed it as Snapdragon 660, which is also an octa-core chip built on 14nm manufacturing process. The Xiaomi Mi Max 2 will come with 4GB of RAM, and there will be a 6GB RAM variant as well, which might be called as Mi Max 2 Prime. Both the options are expected to feature UFS 2.1 128GB of internal storage with support for storage expansion via microSD card. The listing claims that the phone will come with a 12MP rear-facing camera, which can also record 4K videos. Up front, there might be a 5MP camera, which can record 1080p videos. The phone, at the time of benchmarking, is running an unspecified MIUI version based on Android 7.1.1 Nougat. So, expect the phone to come with MIUI 9 based on Android 7.1.1 Nougat. If you recall, the Xiaomi Mi Max was announced back in May 2016, which is less than a month away from now. That said, Xiaomi might release the Mi Max 2 in May. Also, Qualcomm is expected to pull the curtains of their Snapdragon 660 SoC by the end of this month. The Mi Max 2 might well be the first device which will run on Snapdragon 660. Lol. Octa core 2.2GHz A53 clearly says it is 14nm SD626 and not SD660.